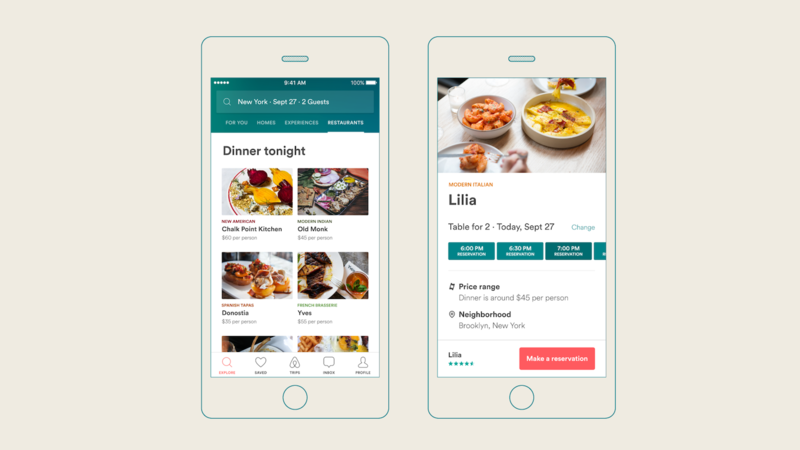 AirBNB is breaking into the restaurant business with reservations to compete with the other big guys. A lot of us are already AirBNB users and the ability to make reservations just adds to the usability of the service. This is yet another way to attract more users to the platform, not everyday do you want to rent a room but the likelihood of doing a restaurant reservation is a lot higher. The new service today is launching with 650 restaurants across the United States with the promise of adding more. The amount of restaurants that is launching with the service isn’t actually a lot and may be a sparse depending on where you live or where you are going. The ability to make online reservations is a huge plus when you consider many popular restaurants have full waiting lists and knowing you can make a reservations days or even hours out is a a huge thing. This service is not actually powered by AirBNB but rather Resy who has partnered with the company to offer their services directly through the app. Resy is a relatively newcomer to the market of online reservations, their partnership with AirBNB will definitely be a huge push to their market share and user base. I’m all for more competition in the market, but it’s not really much a competition that I see it as. I will use whatever service happens to service the online reservation system for the restaurant I want to make a reservation at. The fact that this is now integrated into AirBNB means that it’s one less account to keep track of. Users of the service will also see this as an advantage to get suggestions of places to eat when they make their room reservations.